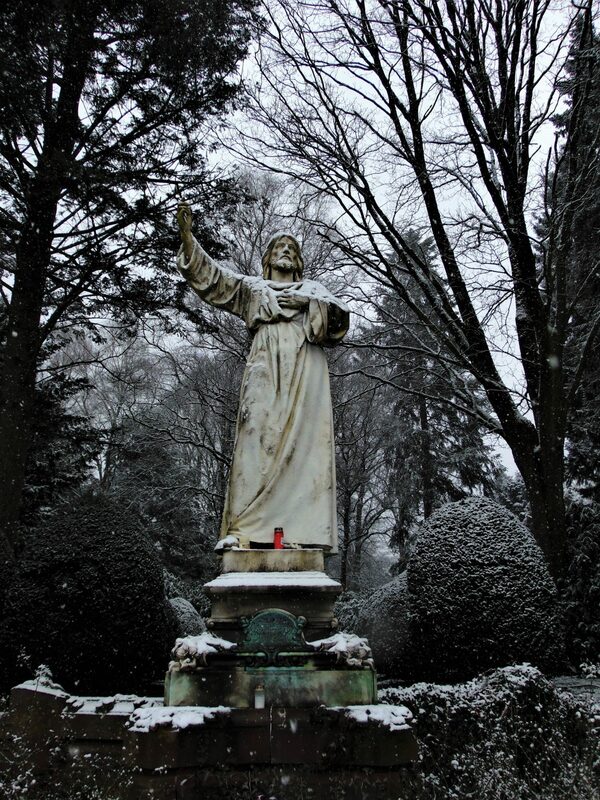 It was a Sunday morning in the dead of winter, and Hamburg was covered in fresh, powdery snow. I was a little apathetic when I first looked out the window, as I am famously not very fond of snow (or winter) in general. While drinking my morning cup of coffee I remembered the time I went shooting at the Lychakiv Cemetery in Ukraine on Christmas Eve; conditions that day were terrible because it was very clear and sunny, and it was impossible to get good pictures (with my camera, at least) as the snow reflected the light of the sun. 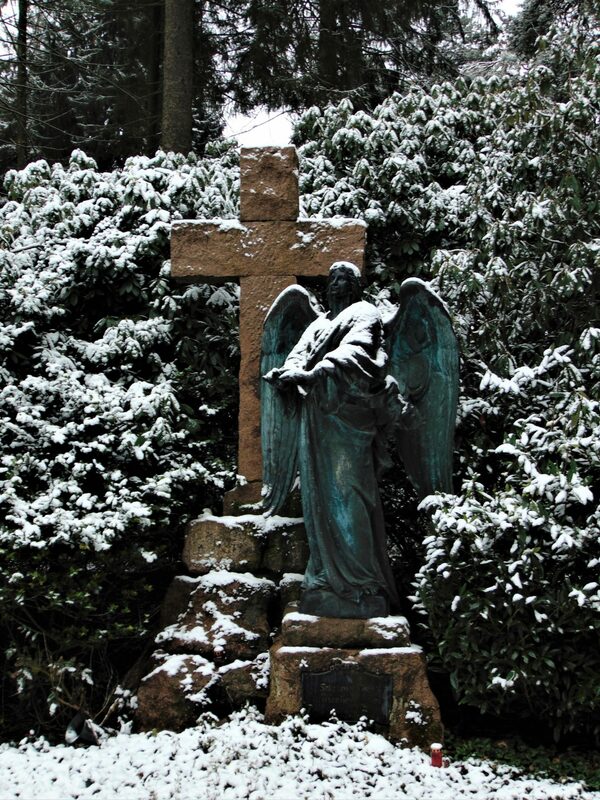 Now though, the ground was covered in snow and the sky was covered in clouds, so I figured I could try my hand again at photographing a cemetery in the snow. I finished my coffee, grabbed my camera, and headed out the door. 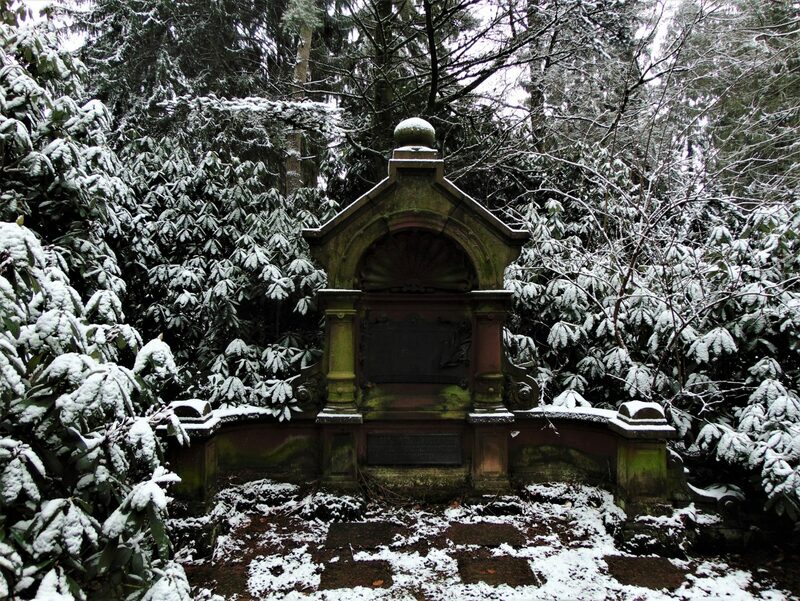 My destination was the Ohlsdorf Cemetery here in Hamburg. 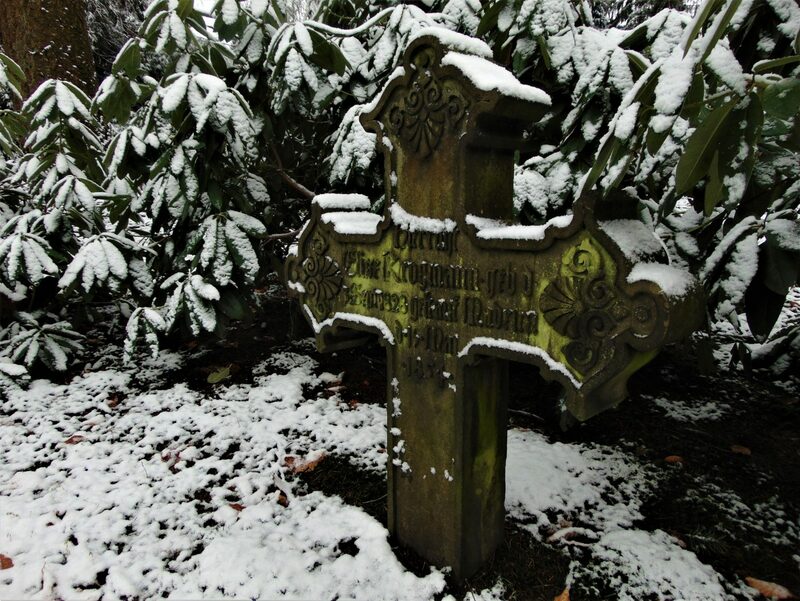 Established in 1887, the Ohlsdorf Cemetery is one of the largest cemeteries in the world—it is, in fact, the biggest rural necropolis worldwide. 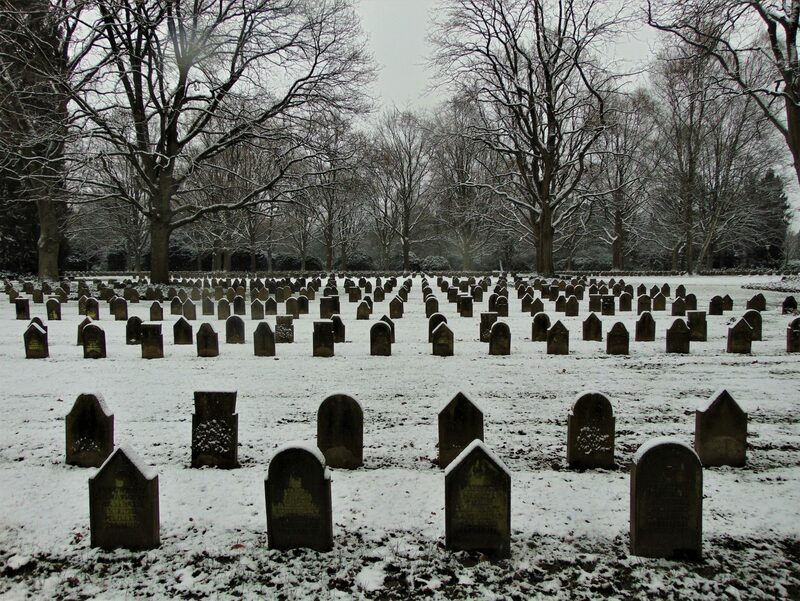 The cemetery has an area of 391 hectares, and is the final resting place of an estimated 1.5 million people. There are 12 chapels, and many different sections. Because of the sheer size of it, I figured I would limit my visit to the sections that interest me most—that is, the military burial grounds. The cemetery was almost empty that day. I allowed myself all the time I needed to walk to the military cemeteries and take pictures along the way. 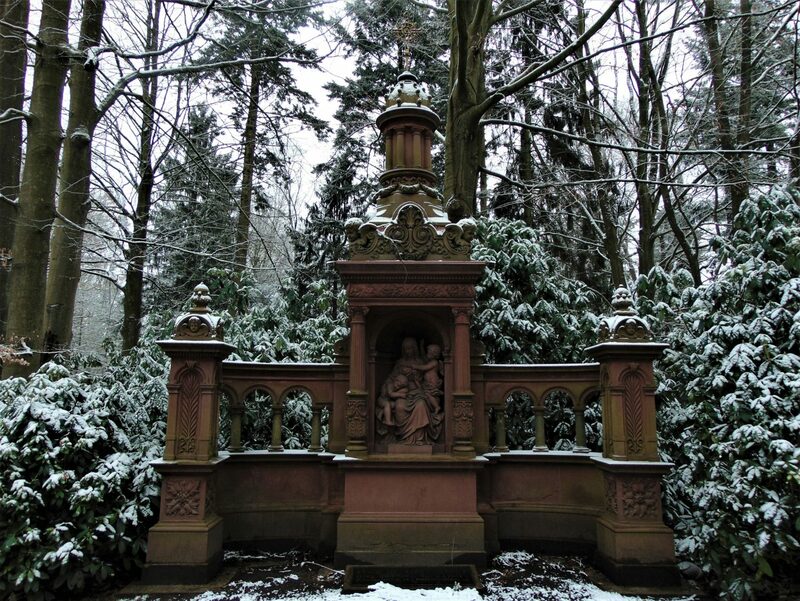 The Ohlsdorf Cemetery is majestic in terms of size and aesthetics. 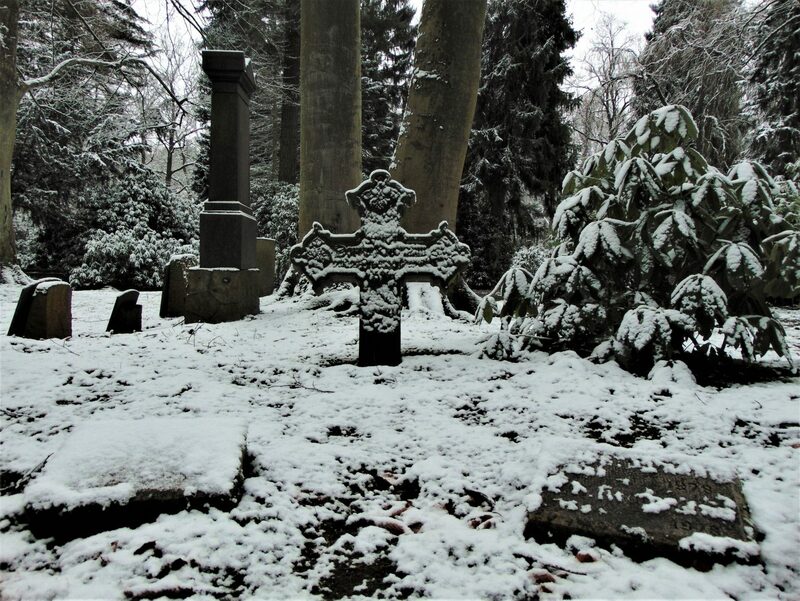 There were memorials and small, unassuming graves tucked away behind bushes, but all the tombstones were in perfect conditions as the cemetery is very well-tended as opposed to others I have visited, such as for example the Olsany Cemetery in Prague. 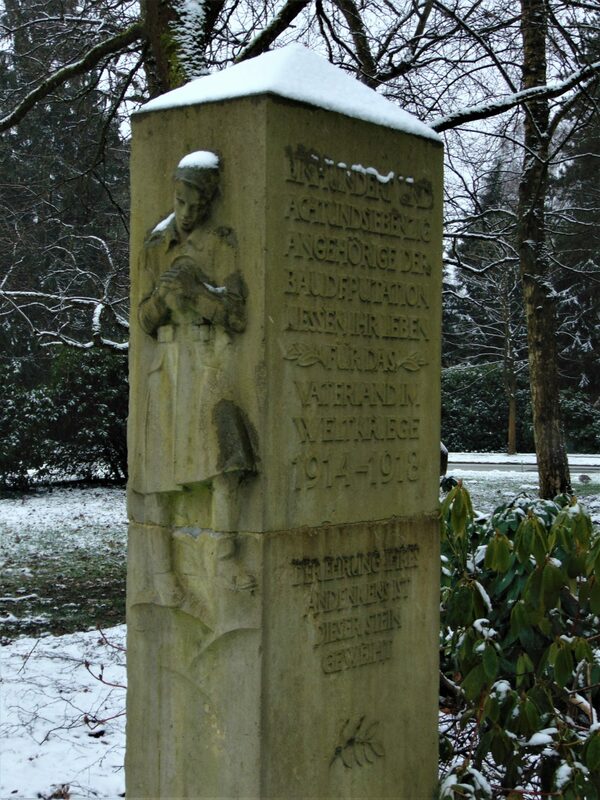 The first military cemetery I got to was dedicated to soldiers who fell in World War One. 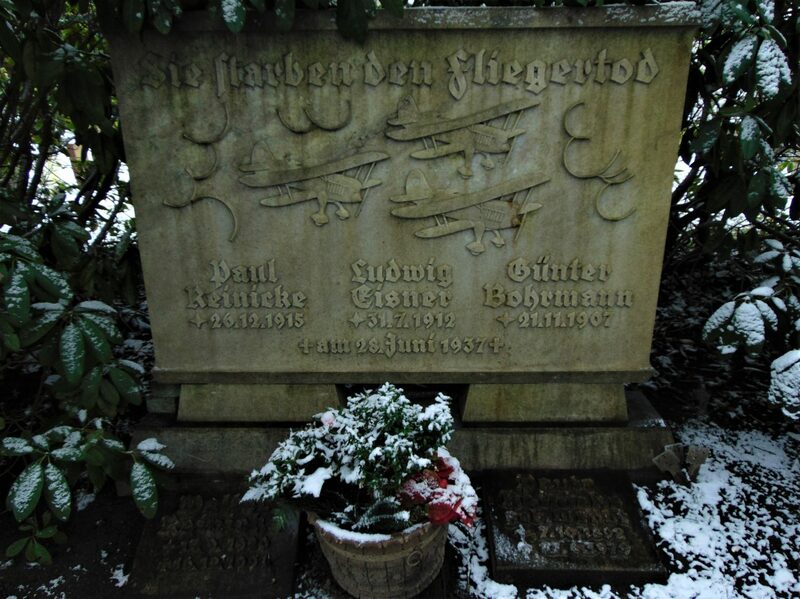 Military burial grounds are known here as Ehrenfriedhöfe (Honour Cemeteries). 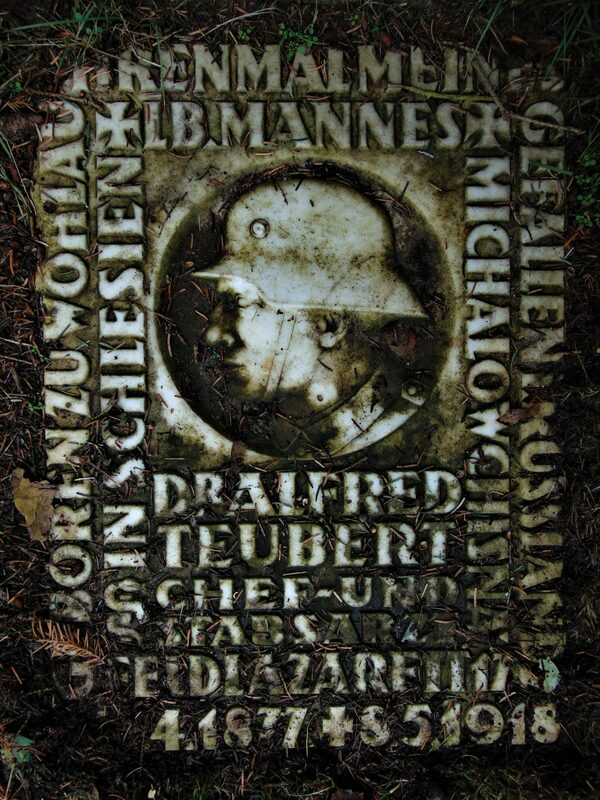 The World War One Ehrenfriedhof is vast and contains the graves of 3400 German soldiers. 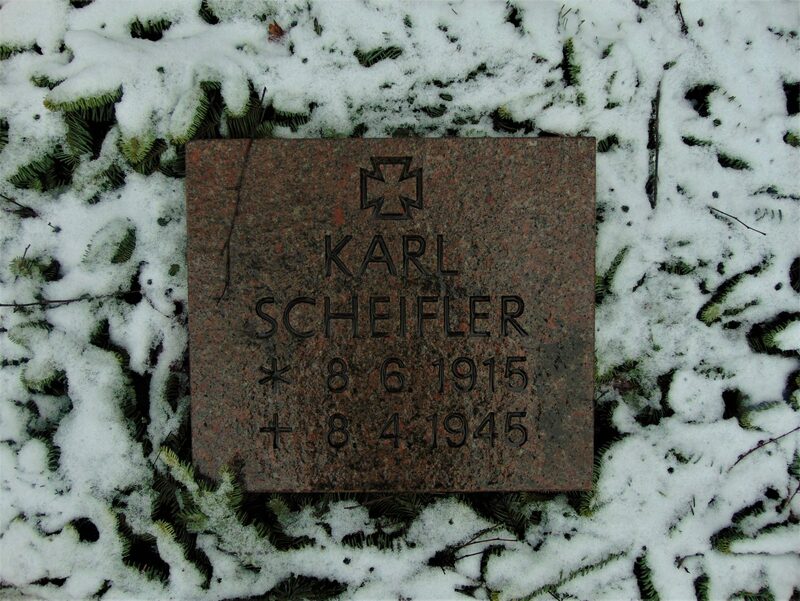 The gravestones are small, and bear the name of the person buried underneath as well as his rank. 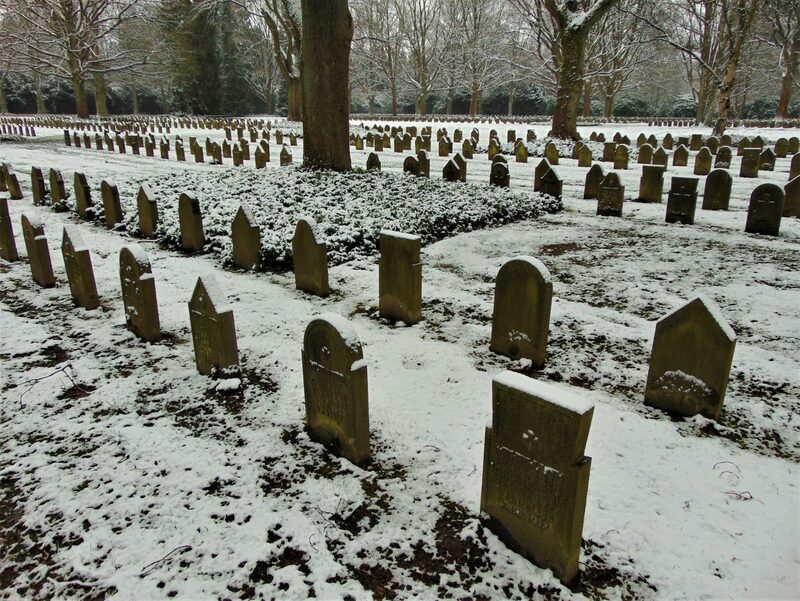 Most of the soldiers buried here died either in hospitals or years later from the wounds sustained in combat. Right next to the German section is a smaller plot with the graves of 230 Russians, 6 Serbs, 6 Poles, 2 Romanians, and 1 Frenchman. 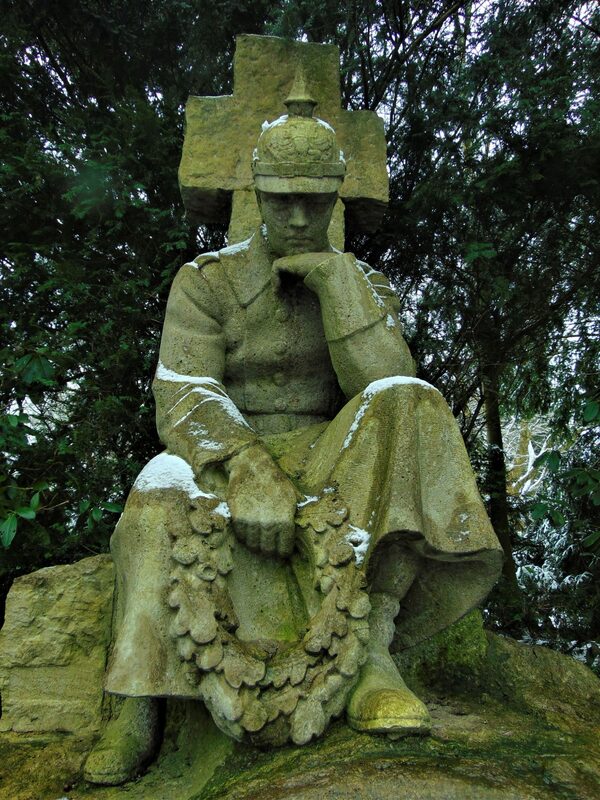 A statue of a lone soldier in full uniform stands silent guard next to the gravestones of his fallen comrades. I also encountered a small memorial for a field doctor who died in 1918 in “Michalowchisna, Russia.” The spelling and transliteration are wrong but the place is most likely Mikhajlovshchina (Михайловщина) in today’s Belarus’. 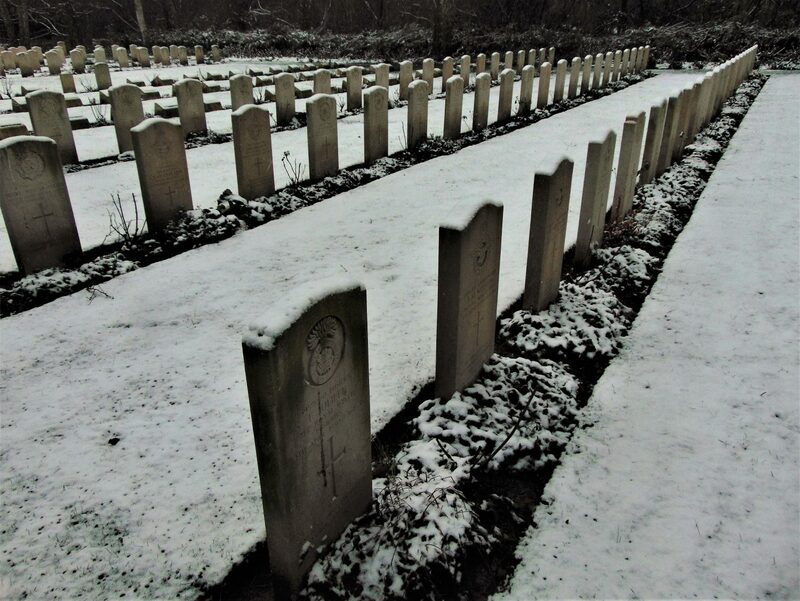 It started to snow again just as I started making my way to the World War Two cemetery, which is connected to that of the Great War. 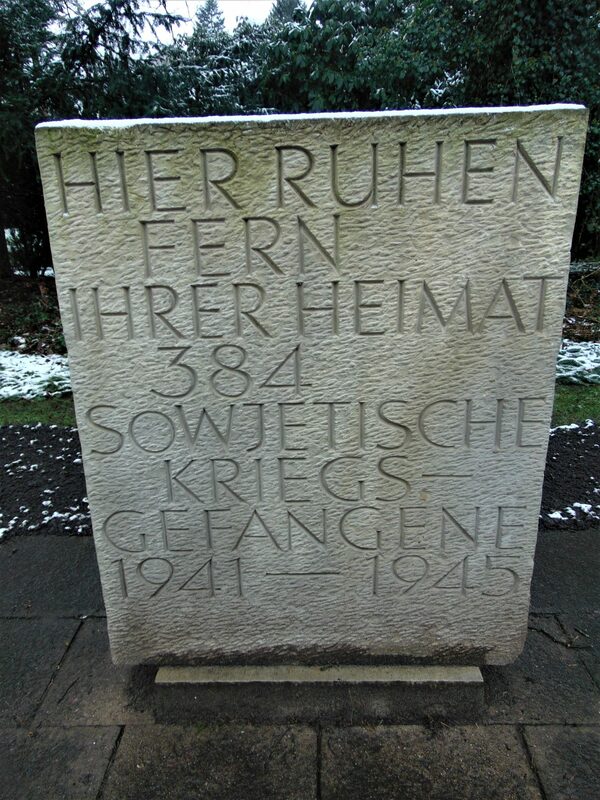 The World War Two Ehrenfriedhof is a bit more modest and looks similar to other German cemeteries from the same conflict, as the graves here are also marked by stones laying flat bearing nothing but dates and names. 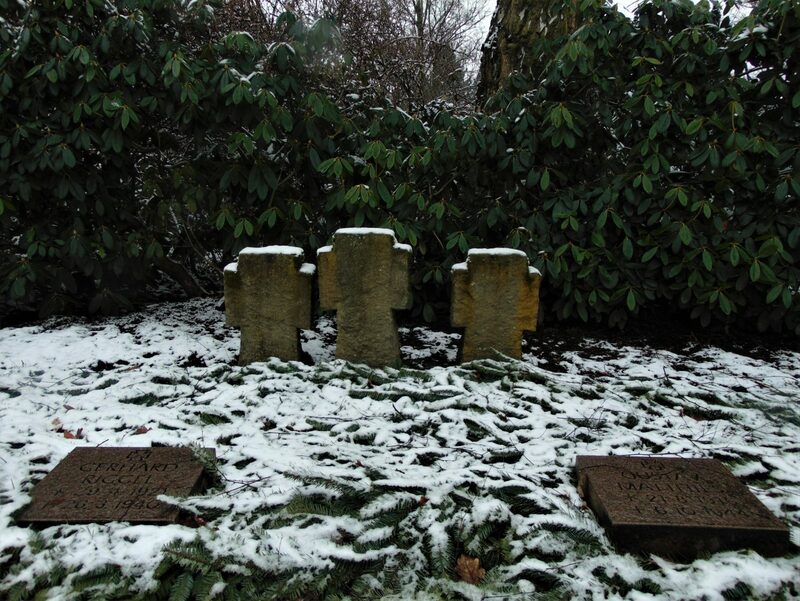 As in other World War Two cemeteries, the area is lined with standing stone crosses set in groups of three. Up the road is the cemetery of Soviet prisoners-of-war. 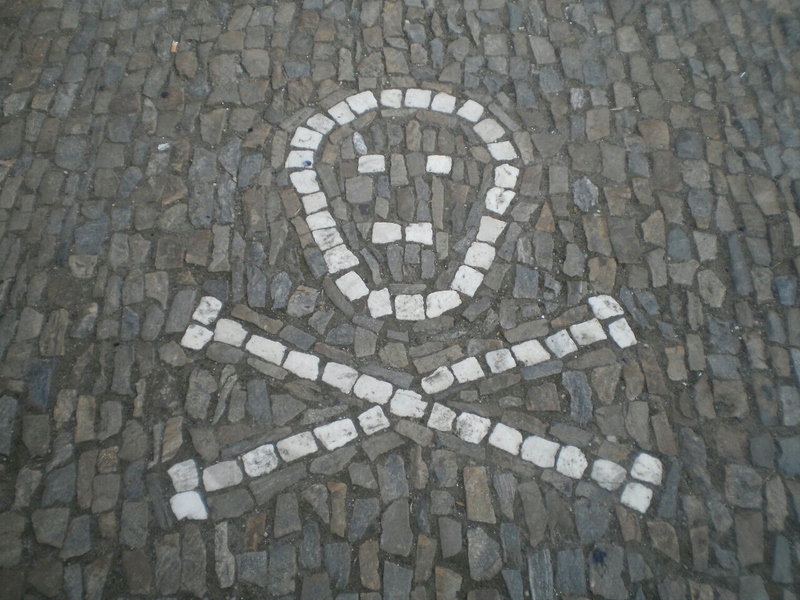 The burials here are also marked by flat stones. 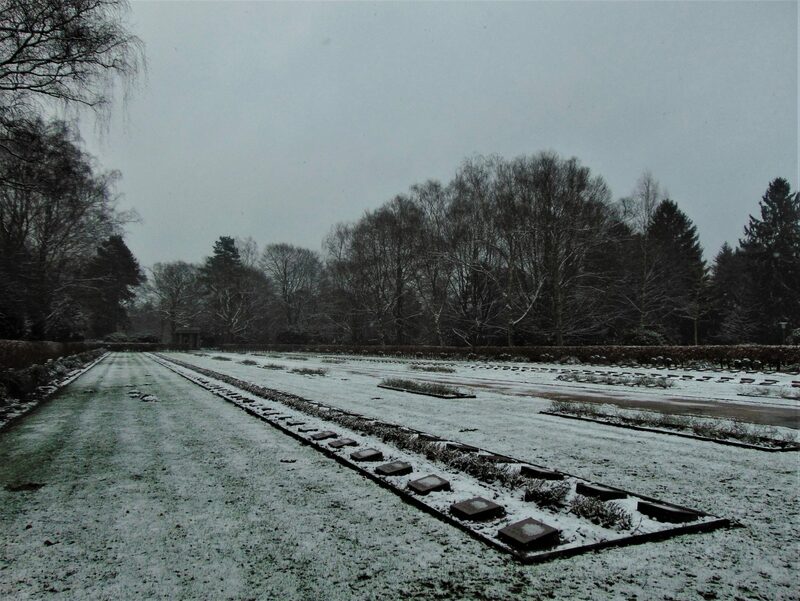 Due to the brutal treatment of Soviet prisoners-of-war at the hands of the Germans in World War Two, many of the men buried here were never identified. 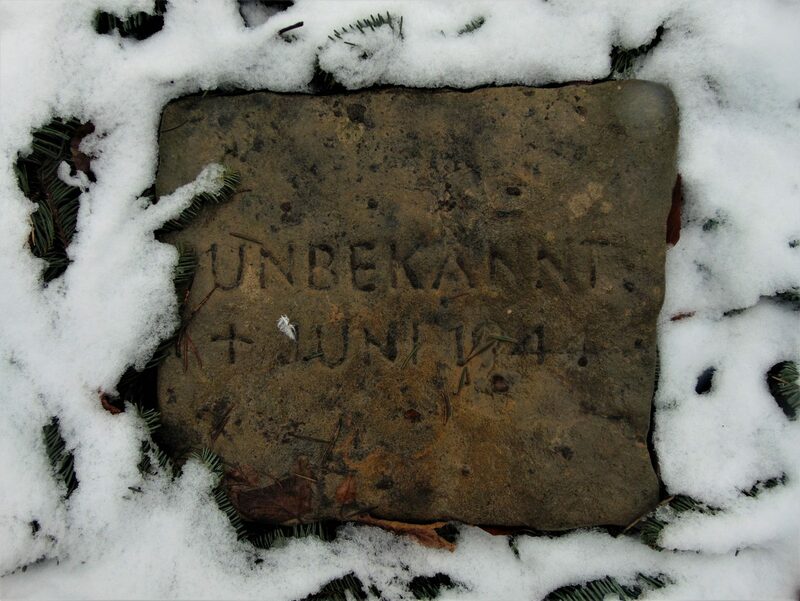 I saw a lot of very impressive gravestones at the Ohlsdorf Cemetery, but the one that had the biggest impact on me was here: a simple flat stone simply reading “Unbekannt” (Unknown) accompanied by the incomplete date of June 1944. 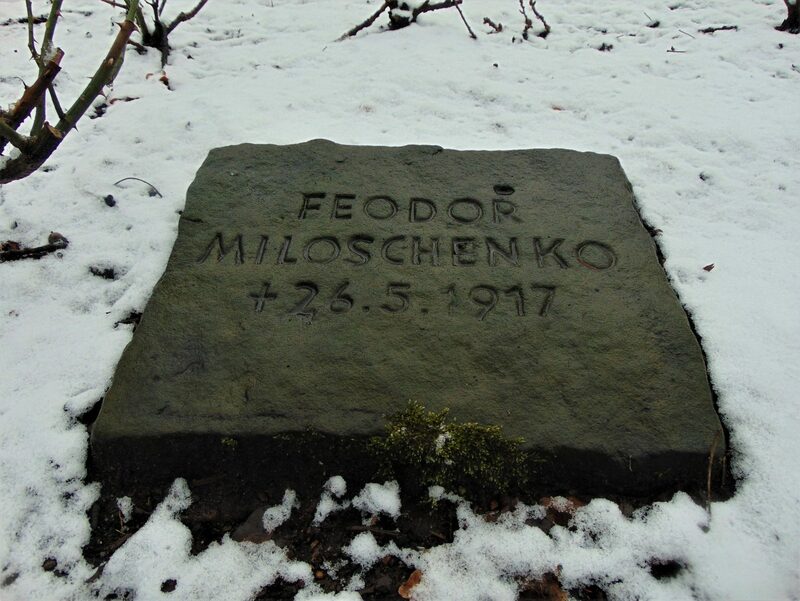 The inscription on the grave was vanishing as a result of time and exposure. I stopped and I thought about the soldier buried there; nobody knows his name, his story, or even the exact date when he died. He was somebody’s son, maybe husband or father, and friend, and none of the people who loved him know where he is or what happened with him. 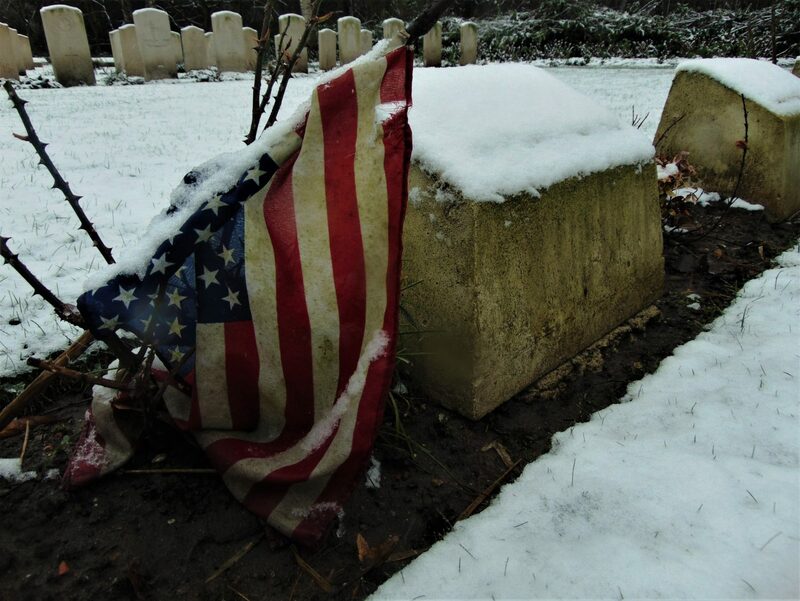 This unknown soldier rests together with 383 of his comrades in this patch of land far away from home, and it made me sad to think of such an end. 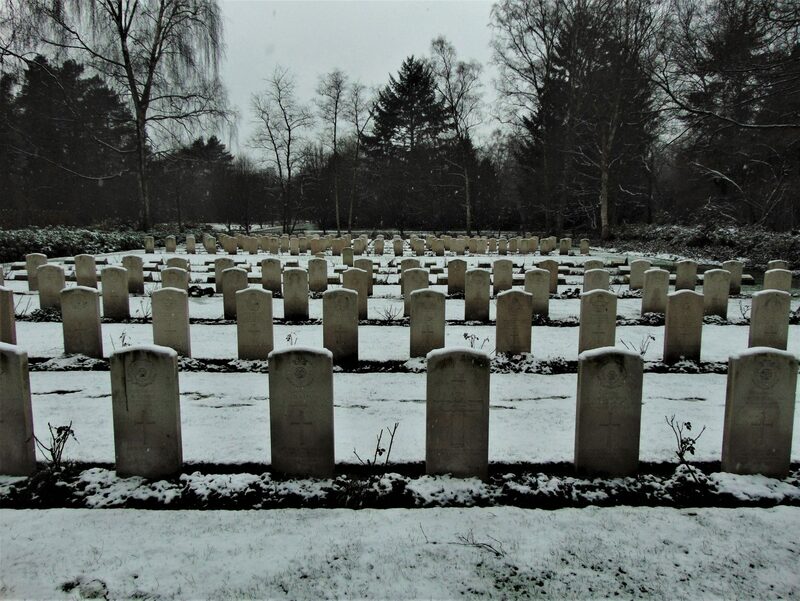 The last military plot I visited is called “Hamburg Cemetery,” and is the final resting place for soldiers of the Commonwealth from both World Wars. There are also a number of Polish soldiers buried here, and maybe at least an American, as someone left a Star Spangled Banner next to a tombstone. The plots are separated, and I only managed to visit one of them. 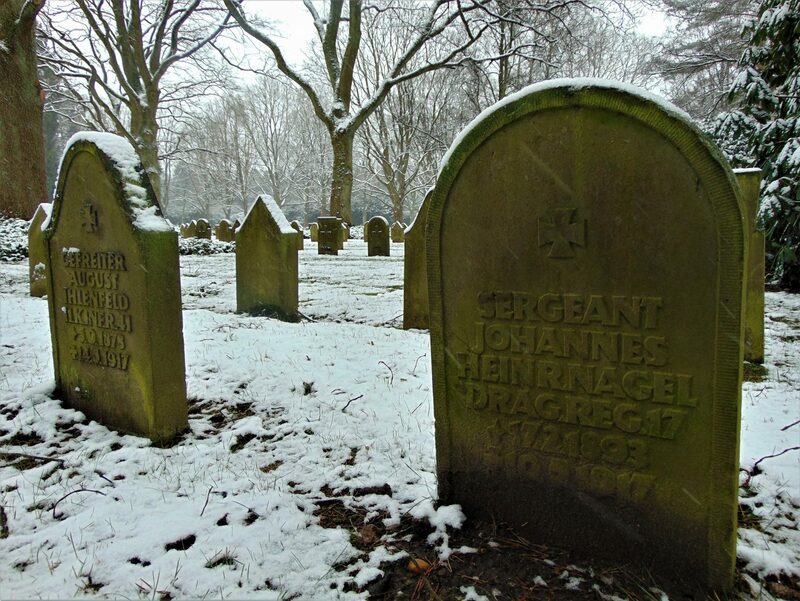 All in all, Hamburg Cemetery is the final resting place of 676 soldiers who served in World War One, and 1889 soldiers who took part in World War Two and the subsequent occupation of Germany. 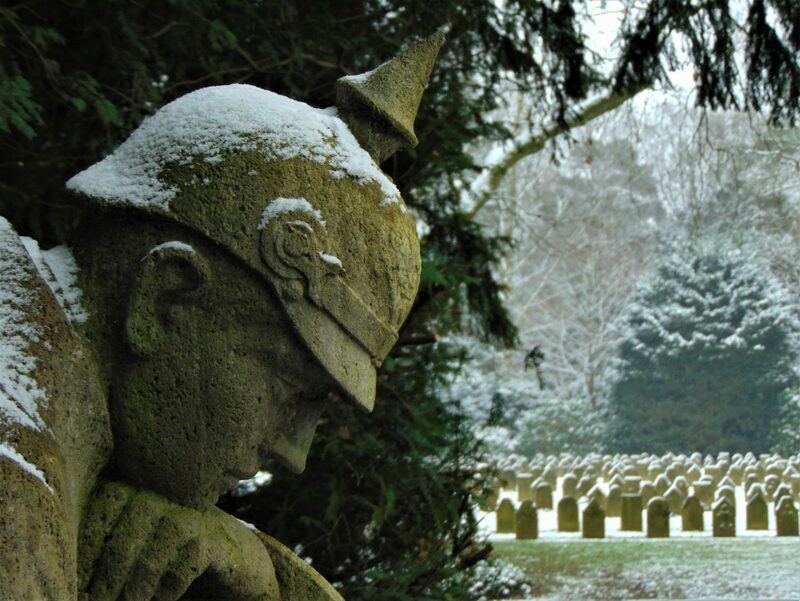 The Hamburg Cemetery in Ohlsdorf is maintained by the Commonwealth War Graves Commission. 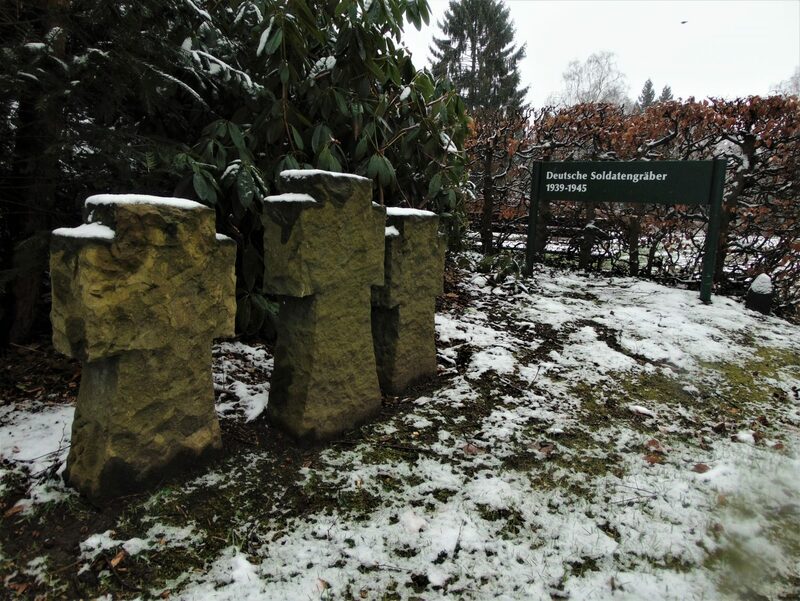 Before leaving the Ohlsdorf Cemetery I visited the memorial to the victims of Operation Gomorrah. 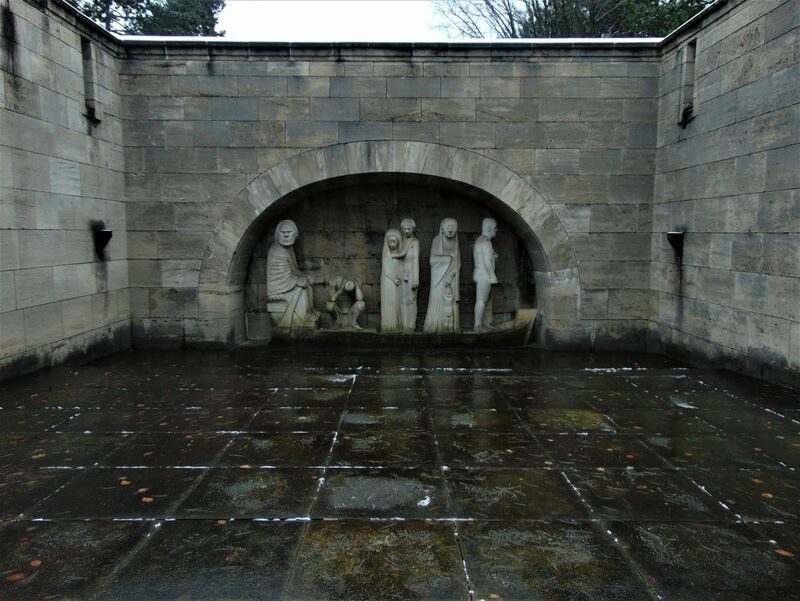 This memorial is dedicated to the victims of the largest aerial bombardment campaign of the time, which targeted Hamburg in the summer of 1943. Operation Gomorrah was the name given to the Allied bombardment of Hamburg. 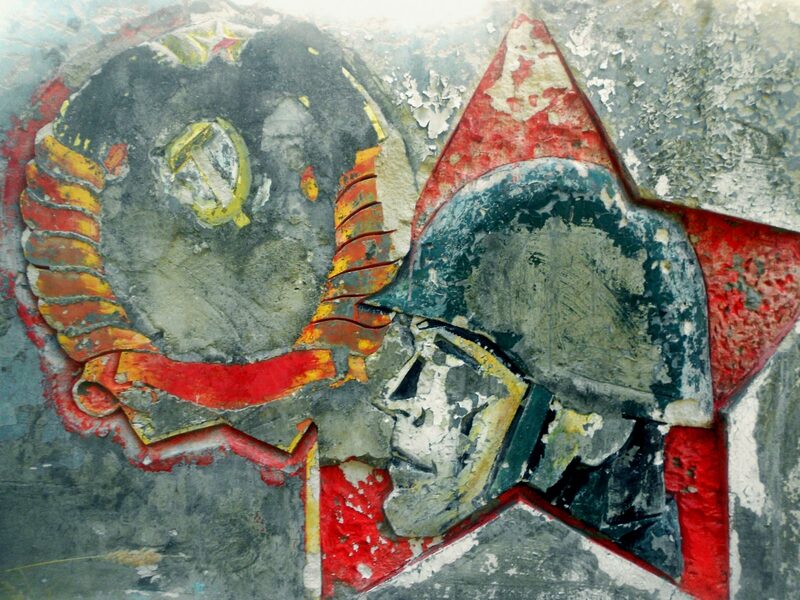 By 1943, the aerial campaigns on both sides had increased in intensity and became more indiscriminate. The British had long since had their eye on Hamburg; the port city was both Germany’s second-largest metropolis and also key to the war effort—particularly in terms of naval warfare. On the night of July 24 to July 25, air raid sirens started howling in Hamburg, and from then until August 3, roughly 2,800 British and American bombers dropped an estimated payload of close to 9,000 tons (!) 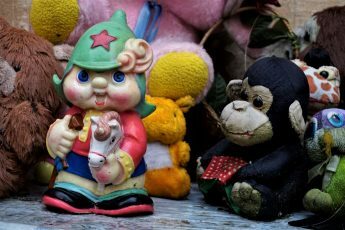 of explosive and incendiary bombs on Hamburg. The bombardment was not limited to industrial facilities but largely targeted areas populated by civilians. In the wake of the bombing and the ensuing firestorm, an estimate 35,000 people had been killed; scores were left injured and/or homeless. 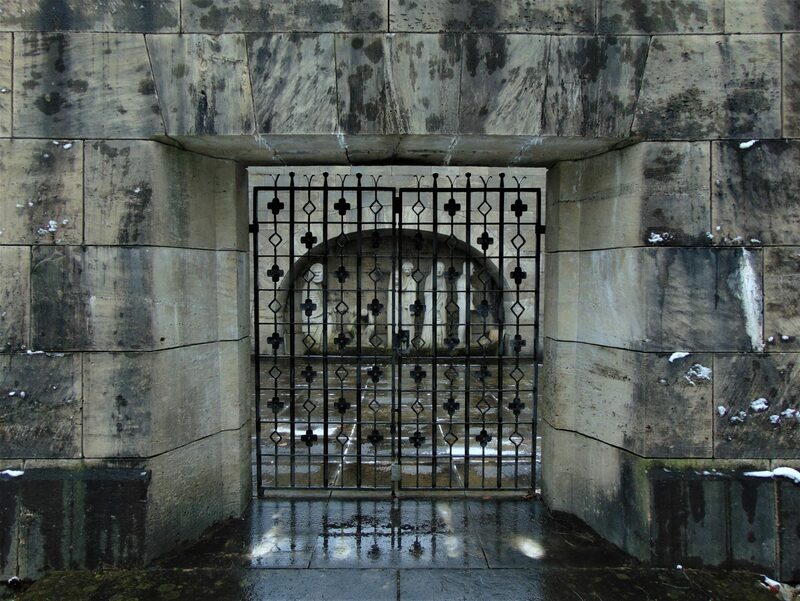 The memorial for the victims of Operation Gomorrah is a chamber made of stone. 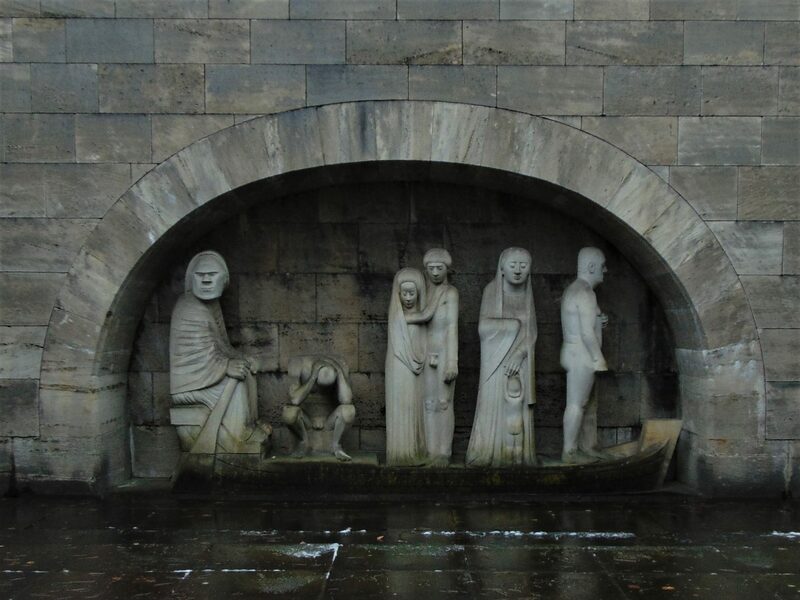 I peeked through the steel door to see the statue of Charon crossing the Styx river. In Greek mythology, Charon is boatman in charge of carrying the souls of the deceased to “the Other Side.” On his boat, he carries men, women, and children, which sternly stare back at the visitor to remind them of the horrors of indiscriminate aerial bombardment. The names of the neighborhoods hit by the bombs are carved into large wooden beams placed along two large avenues next to the memorial, which are lined with crosses bearing the names of some of the victims. At that point it started to rain. I packed my camera, and walked to the bus stop to start the way back home. 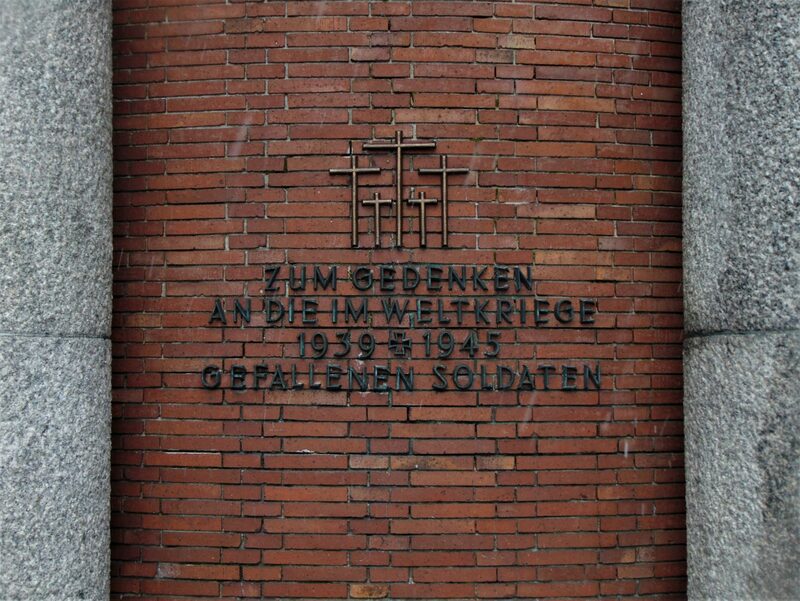 Unfortunately, I didn’t have time to visit the Memorial to the Victims of National Socialism, the Dutch and Polish Military Cemeteries, or the Memorial for the Resistance Fighters. 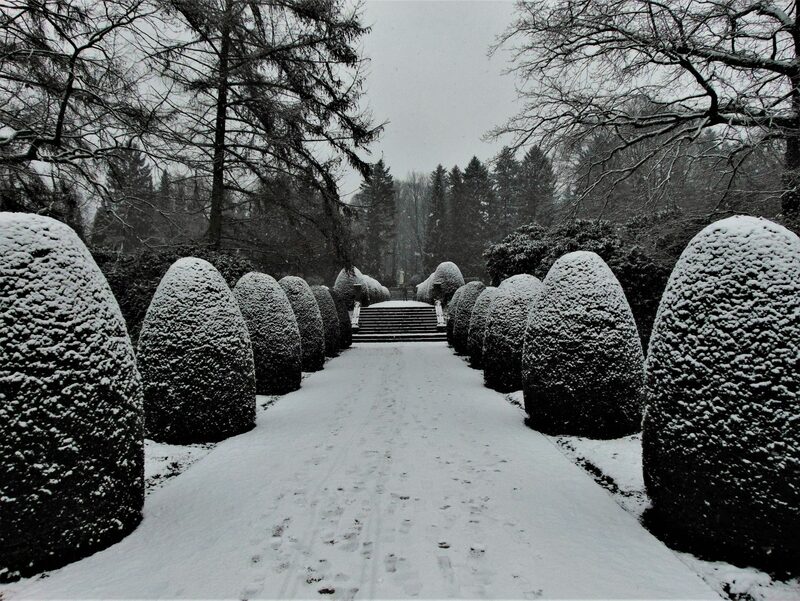 I will return as soon as the cherry trees start blossoming; it would be nice to see the Ohlsdorf Cemetery surrounded by new life.